The collection of free HootSuite mobile apps for iPhone, iPad and BlackBerry are newly upgraded with shinier features, smoother sign-ups and a sleeker login process, plus lots of behind-the-scenes improvements. And Android updates are coming soon too! You’ll want to start enjoying these updates right away. Head on over to HootSuite.com/mobile to download the fresh version for your device. 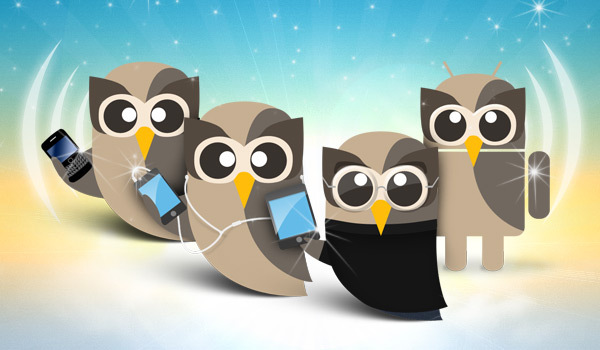 With HootSuite, posting updates on the fly is even easier. So hoot on, mobile friends, wherever you are. Now, signing up for the free HootSuite tools for iPhone, iPad, and BlackBerry apps is easier than ever. And we’ve made the login process smoother too, so sending your messages on the go is faster and friendlier. Plus the full set of mobile HootSuite apps are updated to use new Foursquare authorization methods, ensuring you’ll get access to new advanced features as Foursquare adds them; just another way HootSuite stays in sync with the social networks included in the dash. ‘Berry fans will enjoy some visual tweaks which make your transition between web and mobile even more seamless and there are tons of behind-the-scenes improvements to the iOS apps to ensure your mobile experience is truly moving. Remember: You need to download the newest version of the mobile app in order to enjoy these upgrades today. 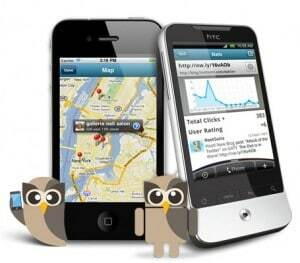 Head on over to HootSuite.com/mobile to update your owl. Android fans – we know your robot needs love and attention too and you’ll see an update of your own coming very soon. Curious about the latest news and developments in your mobile world? Follow the HootSuite mobile apps on Twitter to learn what’s going on behind the scenes, and let us know your two-cents too: @HootSuiteiPhone for iPhone/ iPad; @HootBerry for BlackBerry users; and @HootDroid will tell you all the latest Android news.